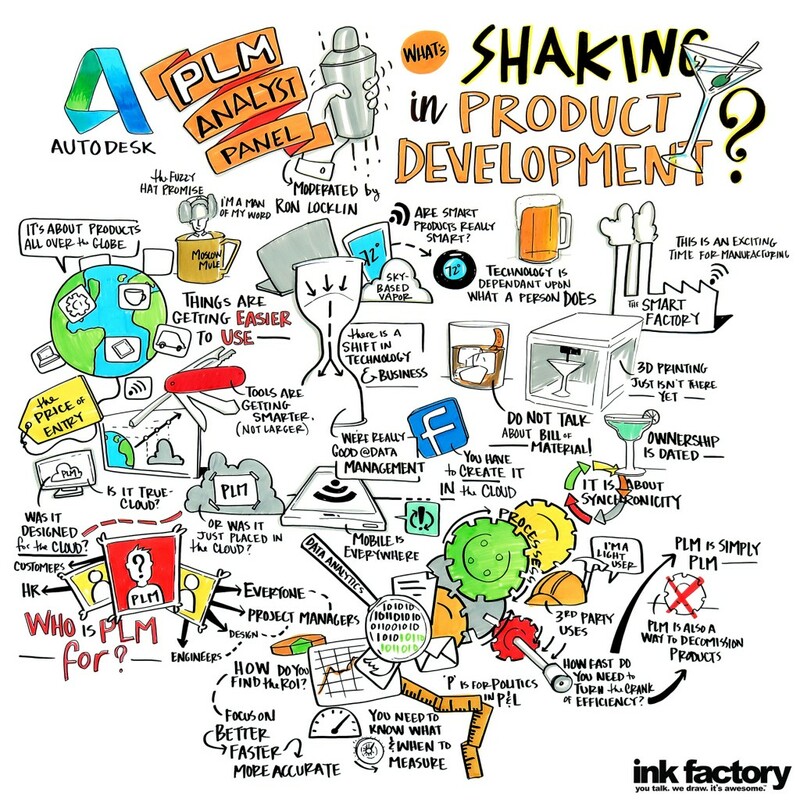 This event brought together Autodesk customers that are using PLM360 product. 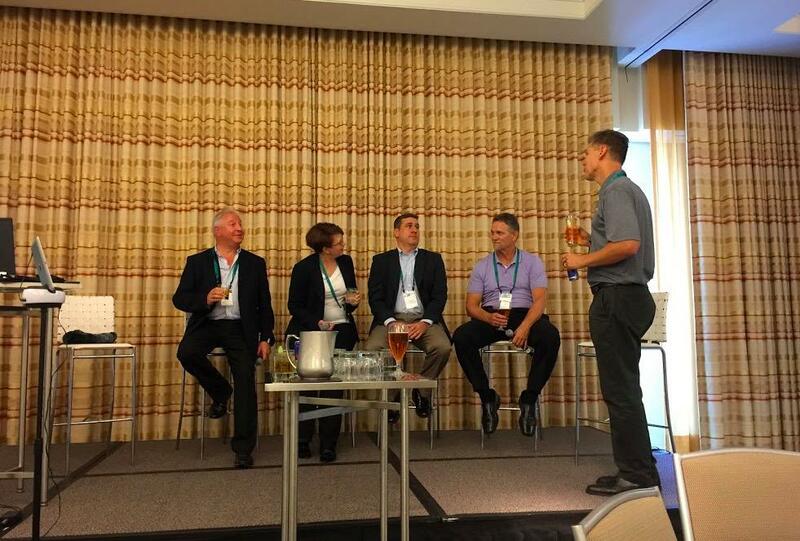 Chad Jackson spoke on a panel of industry analysts to discuss recent technology trends. 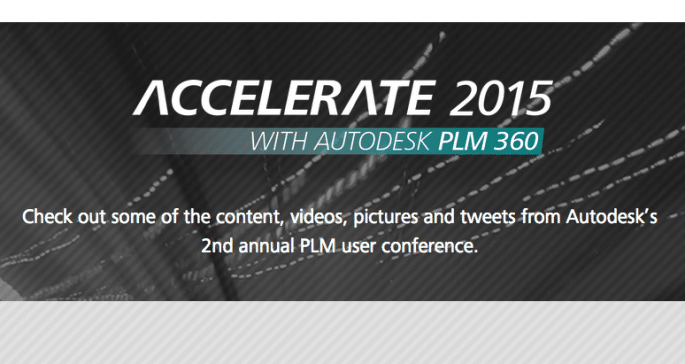 Accelerate 2015 – Autodesk’s 2nd annual PLM conference – engaged, energized, and excited the PLM community with a focus on the Future of Making Things. Accelerate brought together Autodesk customers, industry executives, top market analysts, and subject matter experts to learn, network, and share strategies for solving modern manufacturing challenges, and they had the opportunity to build valuable connections with industry peers and thought leaders in the field of product development. Chad Jackson sat on a panel that followed up on last year’s event, titled ‘What’s Shaking in Manufacturing’ with several other industry analysts to discuss the recent trends in the industry overall as well as specifically with PLM. Here’s an image of the panel. At the event, Autodesk had an artist sketching out the gist of each session. Here was ours with some of the takeaways.